If you know someone with a disability then you know someone whose life has been changed for the better by the ADA. 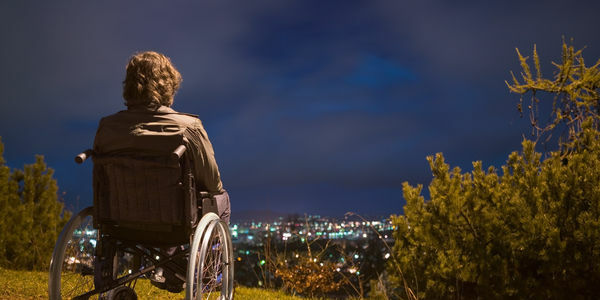 For nearly 3 decades, the Americans with Disabilities Act has provided protections against discrimination for the mentally and physically disabled. But today, it is under threat. Business lobbyists have convinced the Republican-led Congress to try and "reform" the ADA with the ADA Education and Reform Act of 2017. Currently, disabled people can file suit instantly when they come across a business that denies them access. But if Congress has it's way, a disabled American would first have to notify the business and then that business would have up to 180 days just to take action. That's nearly half a year to wait for their civil rights. Business owners believe too many disabled people use the ADA to file unfair and frivolous lawsuits and it's costing them money. In fact, studies show that frivolous lawsuits in the name of the ADA are rare. So this proposed weakening of the ADA is not only wrongheaded it's unnecessary. If this passes the ADA will lose one of its most powerful tools; forcing businesses to comply quickly or face the penalty. This bill takes the power out of the hands of disabled Americans and back into the hands of big business. It is simply a bad idea. Let's make sure the bill's sponsor, Rep. Ted Poe (R-TX) and the rest of the Republican Congress never pass it. Sign and let them hear your voice. Our GOP-led Congress has just done the unthinkable and passed the #HR620 gutting the ADA. Now it will go to the Senate. If this bill is passed by both houses, it will shamefully turn back the clock on the rights of disabled Americans and limits their ability to get justice when their civil rights have been infringed. Please share and sign and tell the US Senate that this bill must be voted down!